Being able to customize your Android device is one of the operating system's best elements, but for some people, browsing various wallpapers, icon packs, etc. to find something they like can be a laborious process. Now, Google has launched a new tool to make the process of customizing your Android home screen a whole lot simpler. 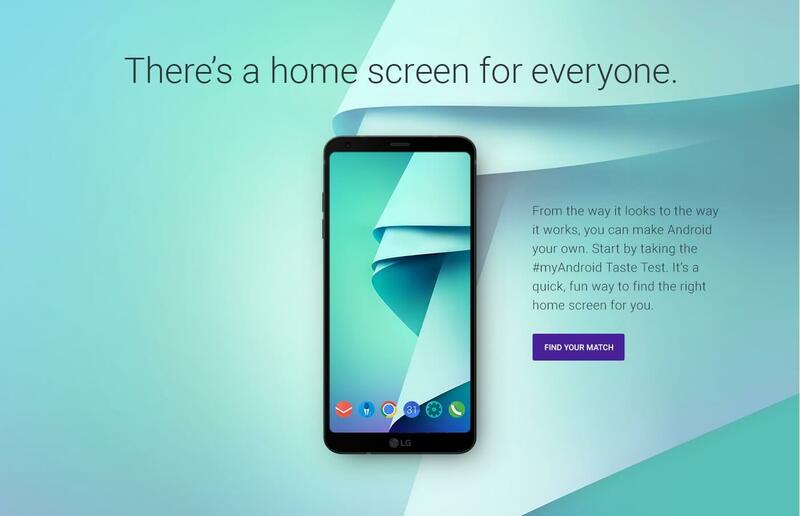 The #myAndroid website offers a “taste test” that asks a series of quick-fire questions to determine what kind of home screen setup is best suited to your tastes and needs. It asks stuff like your Android skill level (beginner, intermediate, or advanced), and various preferences, such as multicolor or monochromatic palette, and organic or geometric shapes. Once you’ve answered them all – it should only take about a minute for all 10-15 question - you’re presented with the wallpaper, icon pack, widgets, launcher, and keyboard that Google thinks are best suited to your tastes, interests and skill level. Each one includes a link that takes you to the item’s Google Play store entry, allowing a quick installation. The website appears to work well; a couple of suggestions Google offered me are already on my device, and the others looked appealing enough for me to install them. Even if you’re an experienced Android user, it’s worth giving #myAndroid a try – you could discover something new. Being a Google tool, the site often promotes some of its own products, such as Gboard. And remember that if you’re not too impressed with your results, just try taking the test again and altering a couple of your answers.